Since 1986, Gay Games Scholarships have been awarded to more than 1,000 underfunded individuals from 70 countries, providing a life-changing week of acceptance and encouragement that the recipients would never have experienced otherwise. Help the Federation of Gay Games "Change the World" by helping send athletes and artists from all over the world to Hong Kong 2022 - Gay Games 11! Join us in our cause of promoting equality in sport and culture, since 1982! The FGG is grateful for 37 years of support from thousands around the globe, as well as the historic support from Hillary Clinton and Barack Obama. Throughout the year The Federation runs a number of campaigns to raise funds for the FGG Scholarship Program. Sign up to keep up to date with these campaigns and more on how you can get involved with FGG and help send artists and athletes from around the world to the Games. Over the coming years and as part of our Scholarship fund raising activities, we will deliver to you five empowering and personal stories from Gay Games participants and previous scholarship & Award recipients to help raise money for the Federation’s Gay Games Scholarship Fund. Since 1986, The Federation of Gay Games Scholarship Fund has awarded nearly 1,000 scholarships to underfunded recipients from 70 countries around the world, enabling them to attend the Gay Games and providing a life-changing week of acceptance and encouragement. Please enjoy these five stories and help The Federation of Gay Games “Change the World” by helping send artists and athletes from all over the world to Hong Kong 2022 – Gay Games 11. "Gay Games 9 was amazing. There was such an outpouring of love. It was as if we had spent the week living in an alternate universe that we now had to leave in order to return to our daily routines of watching everything we say or do". The Federation of Gay Games has been a lifeline for LGBT+ sports and culture in Russia. Their support of the Russian LGBT Sport Federation made it possible for us to continue to grow and help our community feel connected and powerful. In November 2013, I was flown to Paris to meet with IOC President Thomas Bach to discuss the need for language in Article 6 of the Olympic Charter protecting the rights of LGBT+ individuals. 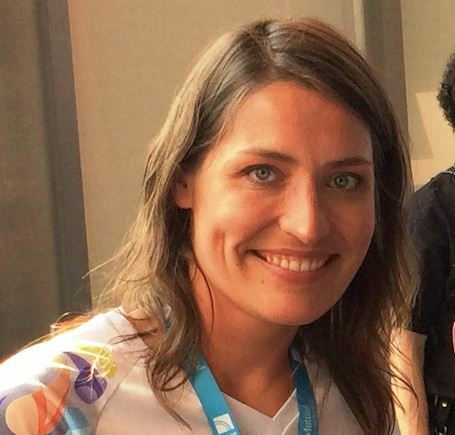 Being part of that event was the best example of how the Gay Games can change the world. In 2014, I was also featured in the Article 6 international advertising campaign to add the non-discrimination language into the IOC Charter. In between the Sochi Olympics and the Sochi Paralympics, the Russian LGBT Sport Federation hosted the Open Games, a multisport event in Moscow. The day before it started, we were told we could not use the venue we had planned for our Opening Ceremony. Other venues were cancelled due to pressure from government officials, and we suffered police harassment, a bomb threat and a smoke bomb attack. Later that year, thanks to the FGG Scholarship Fund, more than 40 Russian athletes and artists participated at Gay Games 9: Cleveland + Akron 2014. As loud as the audience was when each contingent was announced, it became deafening when Russia was introduced during the Opening Ceremony. Later in the ceremony, I was honoured to receive the Tom Waddell Award, the highest honour presented by the FGG. Although this award is for individual achievement, I felt as if I was accepting the award on behalf of ALL participants in the Russian LGBT Sport Federation who stand up to oppression and harassment every single day in our homeland. Gay Games 9 was amazing. There was such an outpouring of love. As one teammate stated at the end of the week, it was as if we had spent the week living in an alternate universe that we now had to leave in order to return to our daily routines of watching everything we say or do. Because homosexuality is illegal in Russia, researchers say the number of reported hate crimes are a lot lower than reality. Many hate crimes go unreported, and aren't investigated appropriately. As a result, many feel the government supports this discrimination. This hostility between the Russian government and the LGBT+ community has been going on for years, and is nothing new. As of 2016, Russia was ranked as the second least friendly country to LGBT+ people. Hate crimes have doubled in Russia since 2014. In 2010, 18 people were sentenced for hate crimes against the LGBT community; in 2015, 65 people were sentenced. Out of 250 hate crimes, 200 were for murder. Most victims were gay men. It will be many years before life in Russia will be good for LGBT+ people. Thanks to the support of our many Gay Games friends around the world, we continue to fight for our rights as best we can on the playing fields and stages all across Russia. When I heard about the Federation of Gay Games, I knew I had to be involved. I wanted to make a difference and it fit with my life. It’s not about doing anything spectacular. You just need to trust in yourself, be bold in what you do, and make that leap of faith. I truly believe anyone can play football. Like anything else in life, it takes time, determination and practice. Growing up in a large Jamaican family in Birmingham England, I can’t remember a time when I didn’t love the sport of football (soccer, for my American friends). Growing up, my brothers only allowed me to play if they didn’t have enough of their mates to fill a squad, but the support and encouragement was never there. I moved to London in 1983. Four years later, I took a college course in Recreation and Leisure. We had to try different sports, and when it came time for football, the teacher-coach told me I should play on a team. I nearly fell over when he told me there were women’s teams. I had no idea. That Christmas, my friend’s partner brought along her ball for the holidays. 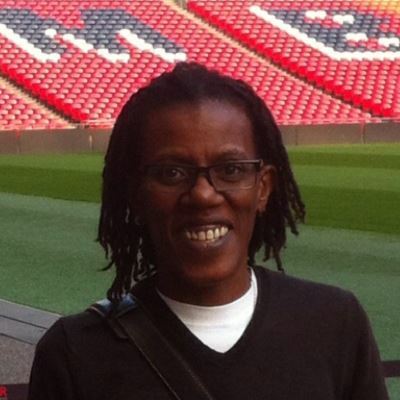 After doing a few kick-abouts, she invited me to join her team, the Hackney Women’s Football Club. As soon as I joined, I knew I had found my home. But something was still missing. In 1989, when we re-organized Hackney Women’s FC, we became known as a team that was predominately out lesbians, but was welcoming to all women, regardless of ability or preference. Interestingly, after we made that declaration, we started winning more games! I came out on my 25th birthday – 11 July, 1987. Years later, after I was elected the first FGG Co-President of colour, I discovered that Gay Games founder Dr. Thomas F. Waddell passed away that very same day due to complications from AIDS. I have felt a special bond with Tom ever since, even though we never met. One of my goals as Co-President is to increase women’s involvement at the administrative level. We have a long way to go, but we are seeing incredible strides being made. We now have a strong, core group of women within the FGG to help us achieve our goals; but we still need more in order to achieve gender equity. This past year, the FGG partnered with the LGBT Women and Sport conference in Brighton, UK, and have several other international women’s events targeted for our support and active participation in the coming year. Nothing should stop you from doing anything you want. The one thing that has given me the greatest amount of joy is sports. Being part of something bigger than myself has made me more confident as a person and leader in the global LGBT+ sports movement. ERICK VIDAL MARTINEZ SALGADO, NATIONAL RESISTANCE FRONT OF HONDURAS AND FOUNDING MEMBER OF LIBERTAD Y REFUNDACIÓN (LIBRE), HONDURAS. One of the most pressing things in my vocation to defend human rights is to internalize what human dignity means and to elevate its meaning to practice through my work in the defense of social justice. Although we have not overcome the barrier of discrimination and social exclusion in Honduras, we are on the right path to achieve it; we have made progress. I was a student in Social Management, and am now part of a team as a Social Projects Human Rights Technician at the Center for Research and Promotion of Human Rights (CIPRODEH) based in Tegucigalpa, Honduras. I am a founding member of the Diversity in Resistance Movement that emerged from the 2009 coup in Honduras. Following the murder of my dear friend Walter Trochez, an LGBT+ rights activist, I have been part of the National Resistance Front of Honduras and am a founding member of the political party Libertad y Refundación (LIBRE). I currently hold the position of General Secretary in LGBT+ issues of the LIBRE party. We are currently organizing in opposition to the recent Honduras presidential elections. In May 2012, my friend and colleague Erick Martínez Ávila became the first openly gay candidate to run for political office in Honduras. Three days after his announcement, he was kidnapped, tortured, and his battered and bloodied body was left in a sewage ditch. Following his murder, I was selected to replace him. I became the first openly gay candidate to have their name appear on a ballot, putting my safety and family at great risk. I was scared for my life: why me? 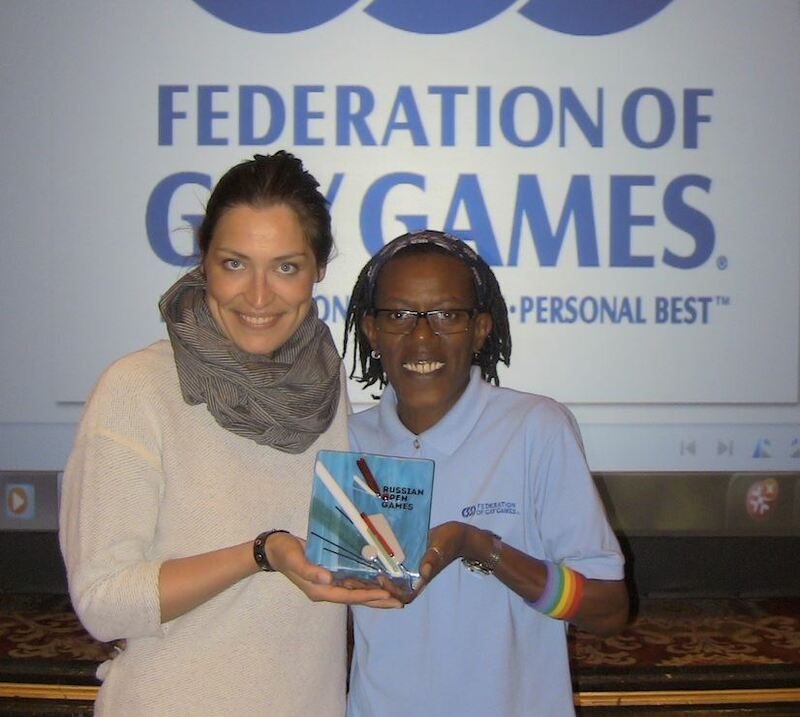 The Federation of Gay Games heard of my work addressing the violence against LGBT+ people in Honduras and selected me to receive their 2012 Social Justice Legacy Award. Together with openly gay U.S. Congressman Jared Polis and the U.S. Department of State, the FGG was able to secure a ten-year unrestricted travel visa for me. The Legacy Award was the greatest honour in my personal life. During my two weeks in the USA, I met with local, state and federal government officials across California, and spoke at multiple universities and community forums to expose the situation for LGBT+ people living in Honduras. During my visit I learned about Harvey Milk. He made me a stronger person to face and challenge the system in Honduras that harms LGBT+ people. Speaking at Harvey Milk Square in San Francisco about the rights abuses in Honduras was a highlight of my trip. My US tour sponsored by the FGG contributed greatly to my development. In politics, it helped to raise my profile as an LGBT+ candidate and activist; and because of my work with U.S. politicians through the FGG, it protected my life. I am aware that to deserve and dignify my 2012 Federation of Gay Games Social Justice Legacy Award, I must continue fighting for equality and recognition of LGBT+ people and not disappoint those who have believed in my struggle and activism. The FGG gave me something very valuable: knowing that I am not alone. They gave me the courage to continue on my way; this is the debt and gratitude I have for the FGG. Después del asesinato de mi amigo y compañero activista, el apoyo de la FGG no solo me permitió continuar peleando por la igualdad y el reconocimiento de la comunidad LGBT+ a través de mi activismo en Honduras sino también protegieron ellos mi vida. De las cosas más importantes en mi vocación son: defender los derechos humanos, interiorizar lo que significa la dignidad humana y elevar su valor a través de mi trabajo en la lucha por justicia social. Aunque no hemos superado la barrera de discriminación y exclusión LGBT+ en Honduras, estamos en el camino correcto para lograrlo, ¡hemos progresado! Fui estudiante de Administración Social, y ahora formo parte del equipo técnico del Proyecto Social de Derechos Humanos en el Centro de Investigación y Promoción de Derechos Humanos (CIPEODEH) localizado en Tegucigalpa, Honduras. Soy miembro fundador del movimiento de resistencia por la diversidad que surgió en la copa de Honduras del 2009. Seguido del asesinato de mi querido amigo Walter Trochez, activista de la comunidad LGBT+, he formado pate del frente de resistencia nacional de Honduras y soy miembro fundador del partido político Libertad y Refundación (LIBRE). Actualmente ejerzo la posición de secretario general en materia LGBT+ del partido LIBRE, organizando diferentes actividades en contra de las recientes elecciones en Honduras. En mayo del 2012, mi colega y amigo Erick Martínez Ávila se convirtió en el primer candidato declarado gay postulado en materia política en Honduras. Tres días después de su anuncio, fue secuestrado, torturado y su cuerpo fue hallado en un canal de aguas residuales. Seguido del asesinato, fui elegido para reemplazarlo. Me convertí en la primer candidato declarado gay en aparecer en las boletas de votación, poniendo en gran riesgo la integridad física de mi familia y la mía. Por supuesto, estaba asustado. ¿Por qué yo? La Federación de los Gay Games escucharon de mi trabajo en contra de la violencia hacia la comunidad LGBT+ en Honduras y me eligieron para recibir su reconocimiento "2012 Social Justice Legacy"
A la fecha, el reconocimiento de la FGG es el más grande honor en mi vida. Junto al Congresista Americano abiertamente declarado gay Jared Polis y el Departamento de Estado de USA, la FGG fue capaz de conseguir mi visa, que genera oportunidades y abre puertas que de otra manera me hubiese sido imposible acceder. Durante mis dos semanas de estadía en USA, me reuní con representantes del gobierno local, estatal y federal de California, e hice múltiples presentaciones en universidades y foros comunitarios para exponer la situación de las personas LGBT+ que vive en Honduras. En mi visita conocí sobre Harvey Milk. Él de alguna manera me hace una persona más fuerte para retar el sistema hondureño que lastima a la población LGBT+. Lo más sobresaliente en mi viaje fue hablar en la Plaza "Harvey Milk" en San Francisco sobre el abuso de los derechos humanos en Honduras. Mi viaje por USA, apoyado por la FGG, contribuye de gran manera a mi desarrollo. En la política, me ayudo a elevar mi perfil como candidato y activista LGBT+; y a consecuencia por el trabajo con políticos de USA a través de la FGG, protegieron mi vida. La FGG me han brindado algo invaluable: el hecho de saber que no estoy solo. Me han dado el coraje y fuerza para continuar este camino; esta es mi deuda y gratitud que tengo por con ellos. "Most gay people in South Africa, especially black butch lesbians, are discriminated against in the work place. I’ve lost friends through unspeakable hate crimes. Some have survived, but left with gruesome and permanent physical, psychological and emotional damage. The reason we formed KZN LGBT Recreation in 2009 was to fight against homophobic injustices and provide a safe space for the LGBT+ community, the victims, and those who live in fear. It was 2002. I had never been outside of South Africa and was still in the closet. I received a scholarship to compete in Track & Field Athletics at Gay Games VI: Sydney 2002. It was both awesome and overwhelming at the same time. After years of boycotts and exclusion, South Africans were still a novelty at international sporting events as our fledgling democracy recovered from apartheid. I medalled 7 times in Sydney: 2 gold, 3 silver and 1 bronze. Without the scholarship, it wouldn't have been possible. I received another scholarship to compete at Gay Games VII: Chicago 2006. I was at the peak of my athletic performance and career, finishing with 7 gold medals. I was on the cover of the Windy City Times with Cyndi Lauper and became a member of the FGG Assembly, sitting on the Sports Committee. I had lost my fear of the closet by then, and though not all of the media coverage back home was positive, it was a platform from which to broadcast a public message of hope and acceptance for the LGBT+ community and the country. At Gay Games VIII: Cologne 2010, I was asked to be a flagbearer of the FGG flag in the Opening Ceremony. 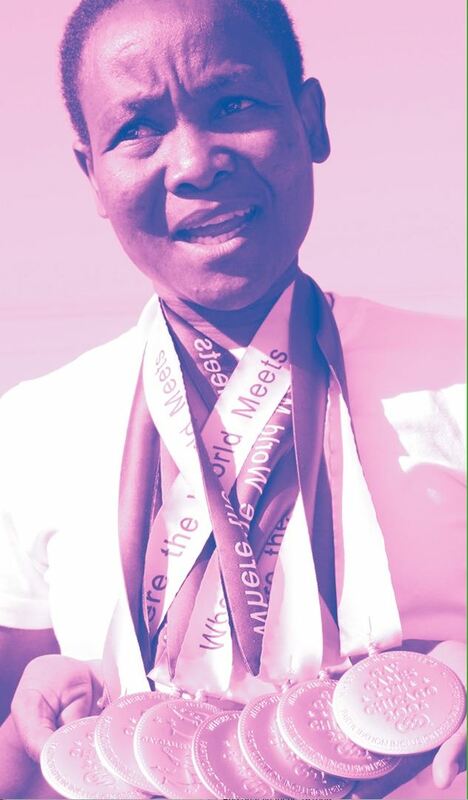 I won 7 medals in Cologne and 5 more at Gay Games 9: Cleveland + Akron 2014. I've gone on to co-found the Afro Games, in conjunction and with the support of the Pietermaritzburg Gay Network, the Durban Gay Centre, KwaZulu-Natal Gay & Lesbian Tourism (KZNGALTA), SameLove and the Durban LGBT Film Festival. The concept of the AfroGames started in 2015. We tried to establish an event in 2016, but it was postponed until December 2018 due to lack of available resources. But it all started with the scholarship to Gay Games VI: Sydney 2002. It changed my life and left a lasting impact and legacy on LGBT+ life in South Africa. Thank you FGG!". "I always loved sports and health but I was painfully shy. During university, where I received my degree in physical education, I knew I was attracted to other men. But I wasn’t being transparent; I wasn’t being ‘me’ at home, at work and with my friends. I decided to search the Internet for non-government organizations and LGBT+ sports. I found two organizations: CDG Brasil, and the Federation of Gay Games. I realized in that moment there are more people working for a better place and environment to LGBT+ athletes, artists and advocates. Through their scholarship program, I was able to make a presentation at the Federation's 2014 "Building Bridges” symposium, and participate in Volleyball at Gay Games 9 in Cleveland that summer. My team captured a gold medal. When I returned, I came out to my family, and also came out on Brasil national television in Brasil. Through my work with CDG Brasil, with the support of the FGG, we produced Rio 2016 Olympic Pride House and a multisport festival in conjunction with Sao Paulo Pride 2017. And in October 2017, I became the first Latin American member of the FGG Board of Directors. The Gay Games helped me to grow to be a man: an out and proud Gay man, a human being. 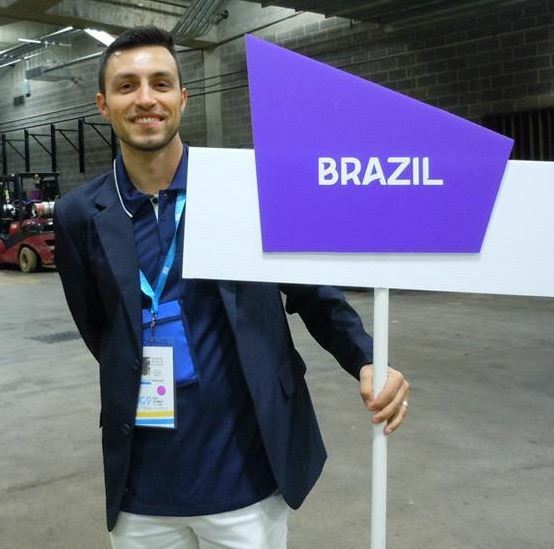 And I am an out and proud professional physical education teacher who provides events and activities through my work with CDG Brasil and now, the FGG. I believe in a better world where the differences about your gender or orientation aren’t a problem. Every day I still need to fight for my life, for my privacy and personal space. The Gay Games help me to see the world every day with open eyes, and how can I achieve completeness in my work and my life". Leigh-Ann Naidoo tells us how important the scholarship program was to her and other recipients in the video below. Paul Oostenbrug, Honorary Life Member, FGG and Co-Chair of the FGG’s Scholarship Committee. 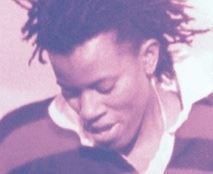 "One of the highlights of my many years of involvement in the Gay Games movement was witnessing the announcement in a room full of cheering scholarship recipients at the Gay Games VI in Chicago that a group of South African futbol team members had received last-minute, emergency visas and were on their way from Johannesburg to be with them. I have had so many life-changing experiences since I began competing as a runner at the New York City at Gay Games IV in 1994. That year, and as part of the closing ceremonies, I had the once-in-a-lifetime experience of stepping onto the outfield at Yankee Stadium. Amazingly, in 2006, I entered another iconic stadium, leading 2000+ members of Team Chicago at Soldier Field, where I experienced the ultimate rush of pride and solidarity in front of thousands of spectators, including my supportive parents who were cheering me on on the field. I remain committed to the Federation Of Gay Games movement to this day as an Honorary Life Member and Co-Chair of the FGG’s Scholarship Committee. The FGG works tirelessly in advance of every quadrennial Gay Games event to raise funds to get as many disadvantaged athletes and artists to the Games as possible. We depend entirely on the generosity and support of individual donors like you to make this happen. Click on the link above to see how far every dollar donated can go in bringing Scholarship applicants from all parts of the world to Paris 2018 for the experience of a lifetime!"